T. E. Carhart, an American living in Paris, is intrigued by a piano repair shop hidden down a street near his apartment. When he finally gains admittance to the secretive world of the atelier, he finds himself in an enormous glass-roofed workshop filled with dozens of pianos. His love affair with this most magical of instruments and its music is reawakened. 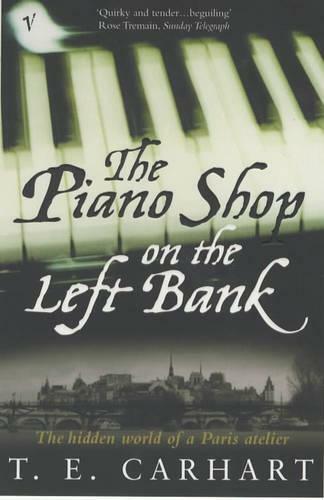 Packed with delicate cameos of Parisians and reflections on how pianos work and their glorious history, The Piano Shop on the Left Bank is an atmospheric and absorbing journey to an older way of life.